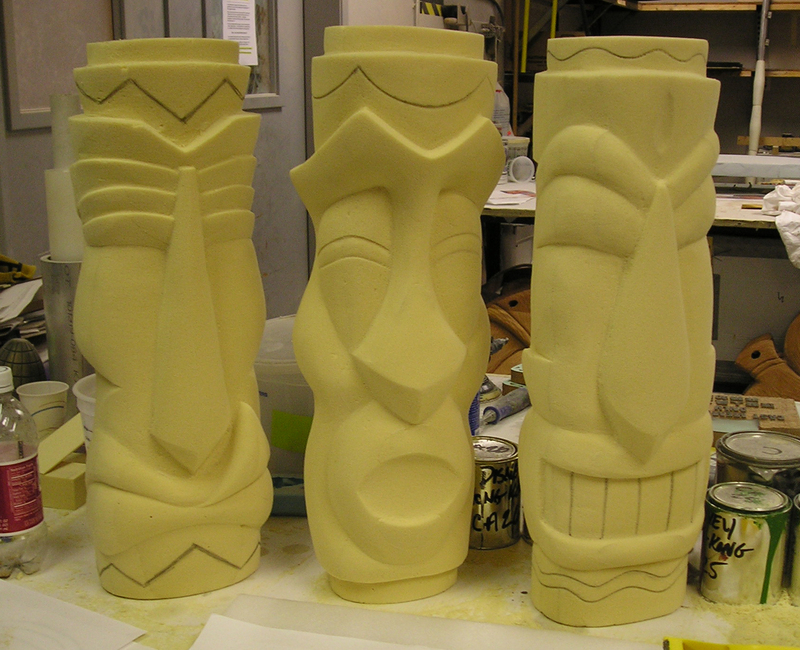 Polynesian-inspired statues sculpted for the Imagineers at DisneyLand Hong Kong. 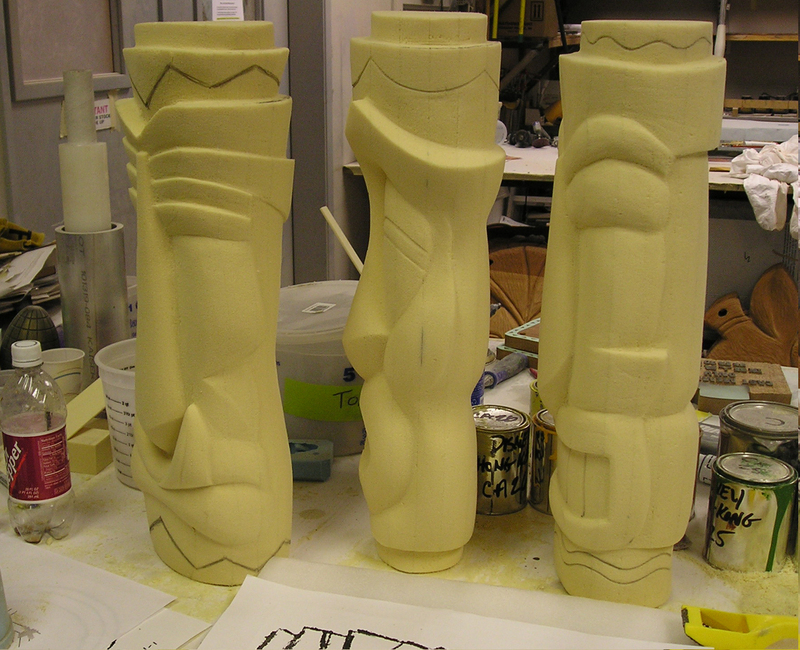 Provided with just a few sketches, these Tikis were sculpted out of high density foam, molded and eventually produced in Por-A-Kast. 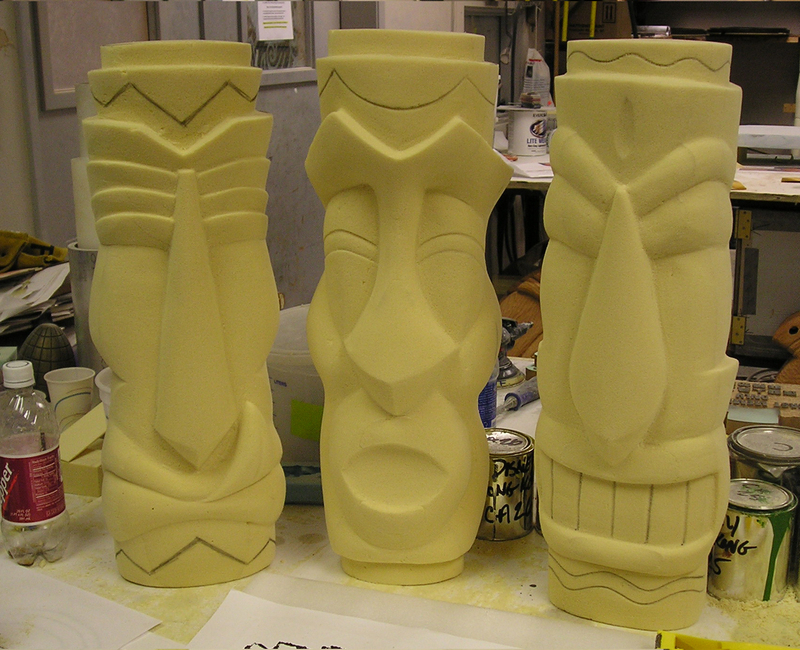 Two of each Tiki bookend three different menu boards at an eatery within the park. 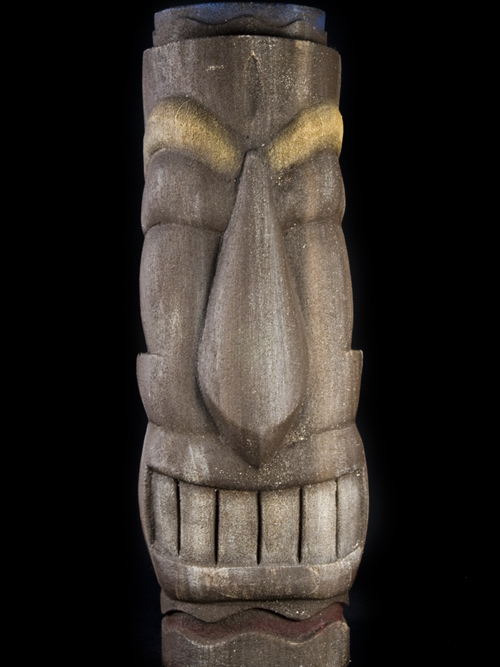 If you are ever in the area, swing and grab a pic, we'd love to know how they're holding up! 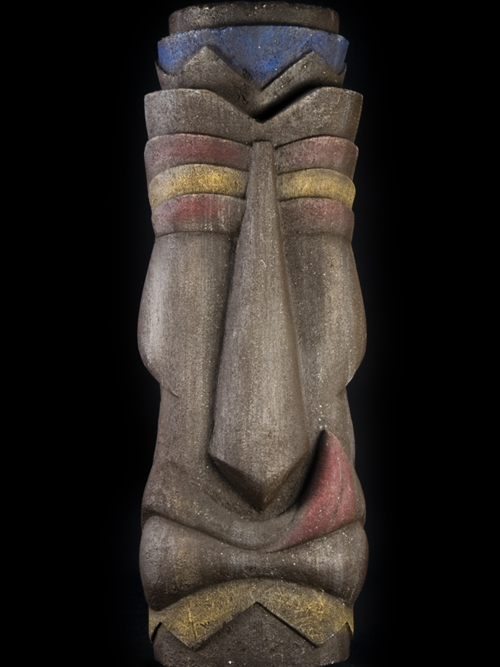 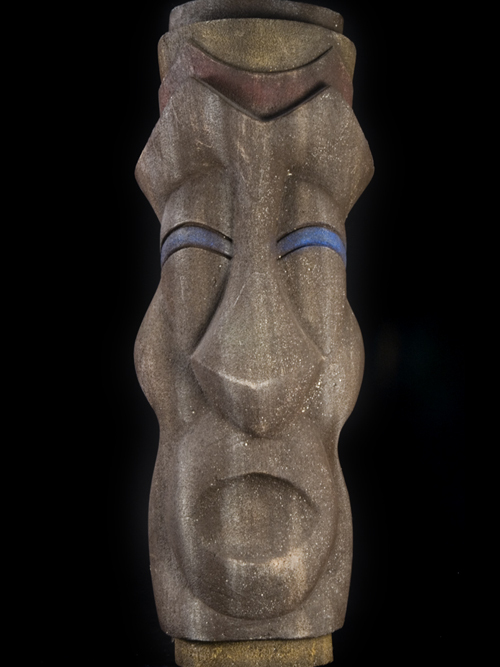 Click the thumbnails below for a few shots of the Tiki Heads. 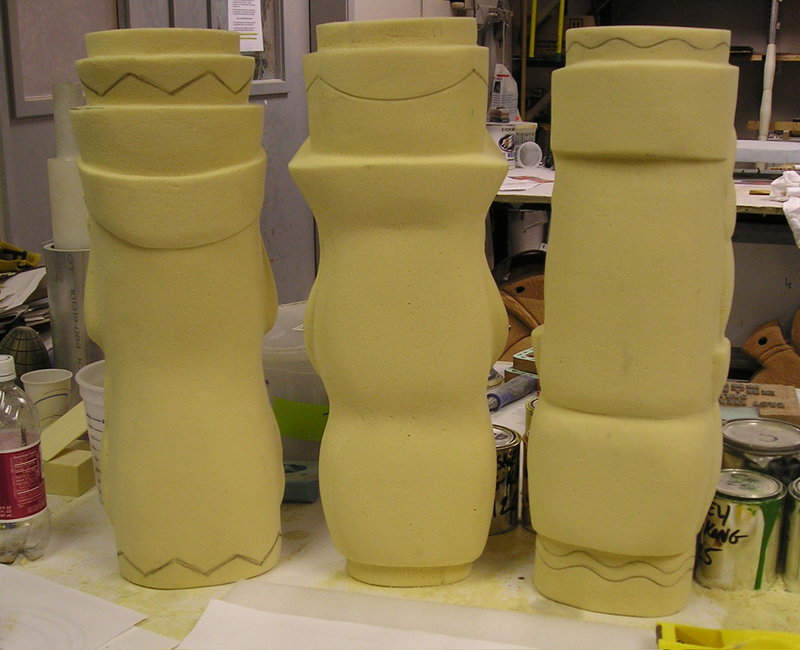 The first few pictures show the tiki casts we kept for the studio and the rest show some in progress shots.